Keeping your marble countertops clean without causing damage to the surface overtime will keep your marble looking new and maintain its value. Thankfully cleaning marble is very simple, and with the right ingredients and steps, you can easily put it into the weekly routine, or hand it off to the kids as a weekend chore. 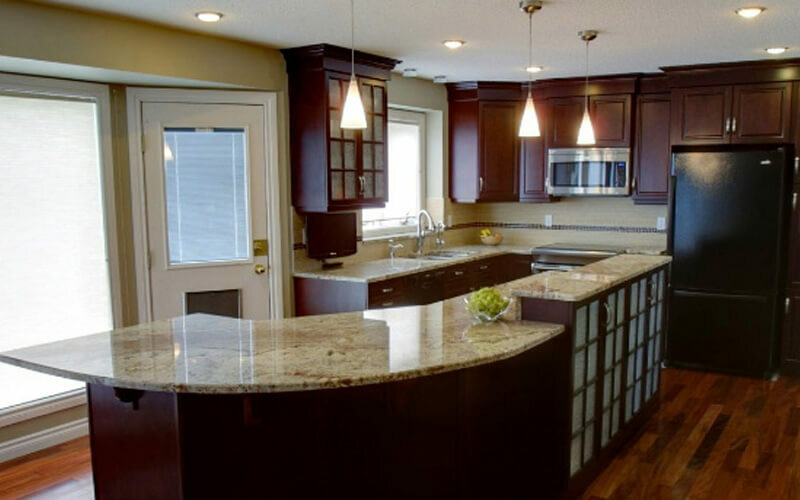 There are various tips and tricks around the internet, but all of them usually boil down to the basics as we at K&J’s Custom Granite will outline for you below. First, you will require three basic items. First is a spray bottle, and make sure it is a new or clean bottle, free of any other old cleaning agents. Next, choose your favorite water-based cleaner, preferably a natural pH-neutral cleaner designed for stone. It is important that the cleaner be pH-neutral as harsher acidic or alkaline (opposite end of the spectrum) solutions can cause damage to the marble surface over time. A pH of 7 is ideal, but be careful as some stone cleaners can get pretty alkaline around 10 or so. Also be sure to check if the product requires dilution in water. Always follow the manufacturer’s directions, but it is suggested you err on the side of less solution/more water. Finally you will need to procure a soft cloth, such as a microfiber cloth, usually found at eyeglasses or sunglasses stores, or even shammies from your local gas-station will do. DO NOT use an abrasive cloth, such as a pot scrubber. You want to buff in the solution and polish out at areas, not scrub down the surface and wear it away. Using something such as steel wool or textured surface scrubbers for stains and caked on food will irreparably damage your marble top. On to the next step, once the solution is mixed properly and you are sure it is pH-neutral, is to spray a good enough amount of cleaner directly onto the marble surface that will completely cover it. This is to ensure any beginnings of stains and bacteria are wiped out. Once the marble is coated, dampen the cloth in some more solution and start using some good ol’ elbow grease and work the entire marble surface using large, even circular strokes, and then as the surface begins to dry, start making smaller, tighter circular strokes. Feel free to use a towel at this point to finish drying off the surface, or let it dry on its own. That’s it – very simple and easy to do. While you may only need to keep this up once a week to ensure stains do not have enough time to completely settle into the marble, it is recommended to wipe up any spills immediately after they happen, so you won’t be tempted to grab that damaging steel wool and tear up the surface of your marble to get that old wine stain out. Trust us, a simple wash and rub down will do wonders to keep your marble looking beautiful and vibrant for years to come! For more information about marble, and how it can be used in your living space, come visit us in our Edmonton marble and granite showroom!